Autumn seems to have finally rolled into town. The clocks change back at 3am tomorrow morning, the official end to day light saving in Sydney, Australia. After a glorious Easter we have had a vey wet week. We dashed out between showers this morning to take Stan for a walk. I took the picture above with my mobile phone. 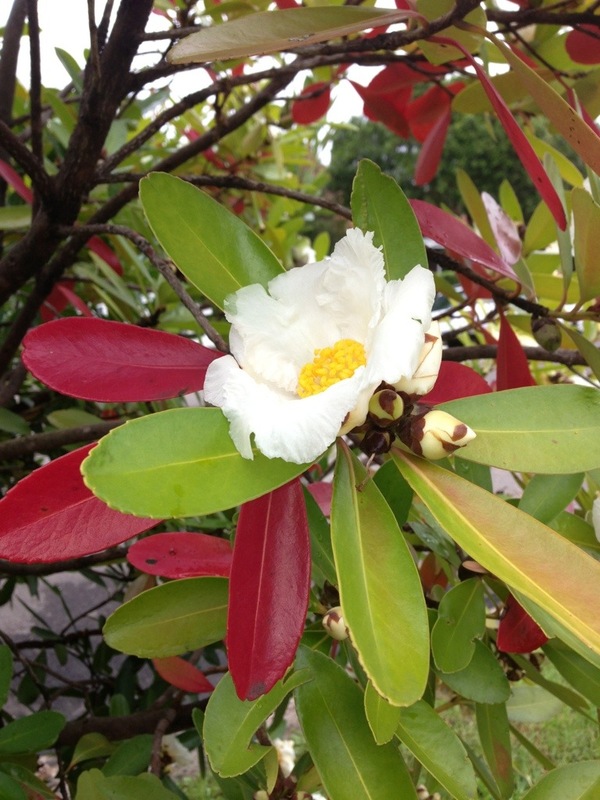 I was attracted to the green and red leaves and the fried egg like flower. I have no idea what variety of shrub this is, all suggestions will be gratefully received. I have no idea either but it’s beautiful!